APSCo’s research, which focuses on professional recruitment, reveals notable variations between the trade association’s core sector groups in terms of hiring activity. While permanent placements within financial services and IT increased by 19% and 10% respectively over the 12 month period, the number of marketing professionals securing permanent roles during this time slipped by 10%. Vacancies for permanent staff, meanwhile, remained largely stable across the board, dipping by just 2% in April 2018. The number of finance professionals securing permanent roles increased by 19% in the year to April 2018, while the number of contract professionals out on assignment in the sector rose 1% over the same period. Vacancies for permanent finance professionals during this time grew by 10% while demand for contractors within financial services rose 20%, indicating ongoing strength across the market. This confidence in the market mirrors a recent report from the Institute of Economic Affairs which found the UK financial services sector has a ‘very bright’ future outside of the EU if it capitalises on its ‘natural advantages’ of size, skill, creativity, language, law and time zone. Placements within the engineering sector, meanwhile, showed little change when compared to a year ago, with new starts in April 2018 increasing by just 0.2% year-on-year. Demand for engineering professionals to work on both a permanent and contract basis dipped by 7% in the year to April 2018 while the number of contractors out on assignment in the sector also decreased by 7% during this period. This comes following reports that UK manufacturing expanded at its slowest pace in 17 months in April 2018 as Britain’s leading manufacturing companies wait on tender-hooks for a post-Brexit UK-EU customs plan to be finalised. Despite ongoing demand for finance interims, overall contract vacancies dipped by 9% year-on-year in April 2018. The overall number of contractors out on assignment, meanwhile, dipped by 17% during the same period. This can largely be attributed to a significant 35% year-on-year fall in IT professionals working on a contract basis during this time. 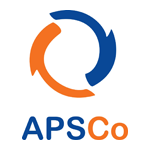 APSCo’s figures also reveal that median salaries across all professional sectors dipped by 1.1% year-on-year. This figure is characterised by notable fluctuations in terms of sector, with IT and insurance, for example, recording uplifts of 3.4% and 2.9% respectively. “Despite last week’s suggestion from the Bank of England that the UK economy is “past its peak”, the market for highly skilled talent continues to escalate. “However, while permanent professional hiring activity remains strong across the board, there is no escaping the influence that Brexit uncertainty continues to hold over the sectors our members recruit into. While financial services is clearly emerging from the period of hesitancy it found itself in post-referendum, it now seems the engineering sector may be putting the brakes on hiring until there is more clarity around trade borders.